Today is the first day to sign up for the October swaps at Your Paper Pantry. I host two swaps. The Christmas All Year and the Artsy Fartsy Ticket swap. The Christmas card one is more of a challenge. The October challenge is to use your favorite technique or just your favorite kind of card to make. I made little 3X3 One Drawer Easel Tag Card following The Scrappy Bookworm1 on YT tutorial. Here is the process video of these. 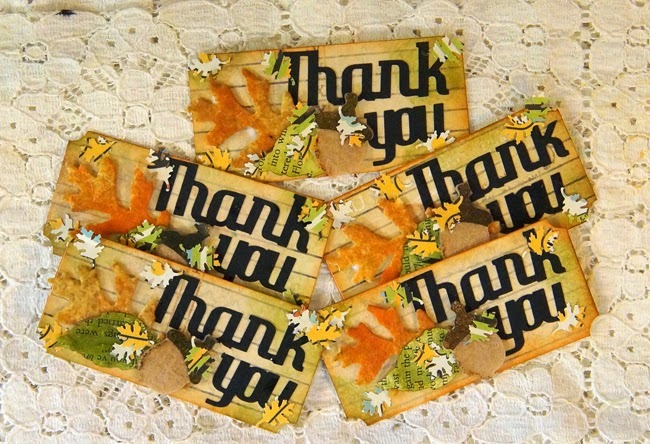 The challenge for the AFT (Artsy Fartsy Ticket Swap) it to make tickets that say Thank You. Here is the process video for the tickets. There are plenty of swaps and challenges at YPP. Come over and join the fun. 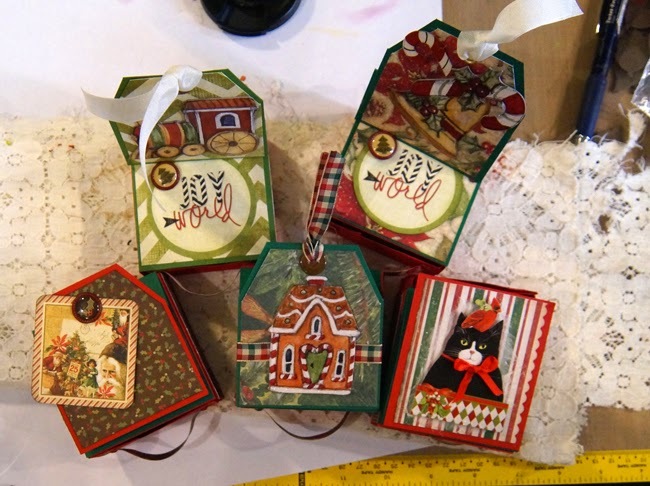 Oh wow love both of these - great little xmas items and love your altered tickets! WOW these are absolutely brilliant Linda fantastic projects.